Should you buy a new BMW 4 Series? The latest models have been updated to include some new tech and performance features, like a twin turbo 440i that puts out a ton of horsepower. However, you also get a lot of horsepower at the base with the turbo engine that comes standard. The latest models also come with a revised suspension, new infotainment system, and wireless phone charging, as well as a Wi-Fi hotspot. There are also a ton of new safety features as well. Drivers can essentially set up all of their preferences in the BMW 4 series that driving is like clockwork. You simply get in and have your favorite tunes going, as well as other voice-enabled commands. All of this is integrated through your smartphone as well. You can turn on premium features like satellite radio and GPS navigation as well. 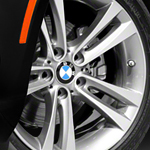 You can test drive the latest BMW 4 series at BMW of Fairfax soon.